JAMB is an examination body that is mandatory for all students in Nigeria to take in order to gain admission into Universities, polytechnics and college of education. 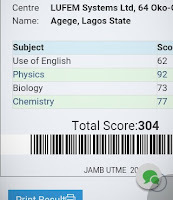 This post will be focusing on how to pass JAMB easily, if you read this post and adhere to it, i assure you that you will score over 200 in your upcoming UTME. Most students have given up on JAMB maybe because they have taken it for over two times, but i assure you that reading will make the upcoming UTME the last UTME you will ever, but that's if you follow the tips i'm about to give you right now. I hope you now believe me. Then let me continue with the tips. But you should note one thing, which is that the tips i'm about to give you are based on what i used to pass my UTME. I know you will like to have like my score. You can follow the tips and you can actually get above my score. It's possible. Lets ride on. Use of JAMB past questions: I know you already know this but i have to tell you again that you should joke with past questions. The real truth is that JAMB don't have new questions anymore, all they do is just to recycle old questions which you can find in the JAMB past questions. If you have studied the past questions, you will notice that there is always repetition of questions from the past UTME. This actually helped me to earn that high score, most of my questions were just familiar questions. All thanks to the past questions. So my advise to you is that you should a past question very soon. The earlier the better. Use of JAMB syllabus: Everything is all about smart work, it is no longer hard work. The JAMB syllabus comprises of topics and the exact part of the topics that you need to read to pass UTME. It is not that you should be reading every single part pf your textbook when JAMB has given you an area of concentration. You don't have the syllabus? You can get it online for free. Remember that it is all about smart work, no longer hardwork. If it didn't work for me then i won't be here giving you any tips. Attend to tutorials : This also help in alot of ways. You can never study alone you need to have a study group for easy assimilation. No man can be an island of knowledge. It now then on what you want, some go to tutorials and loose focus while some go to tutorials with the aim to pass UTME. The ball is in your court. Be time conscious :You should that UTME is 1 hour 30 minutes to answer 180 questions. You can see the time is so short, so you need to practice how to be time conscious which is very important. Remember the time is against you and it will determine the next one year of your life. Practice everyday: This is the last and most important tips, you need to practice to be able to pass JAMB easily. You can practice your textbook, past question and you can take online CBT exam. I recommend myschool.com.ng , you can take the CBT practice test in the recommended site. Remember to practice everyday, you know practice makes perfect. 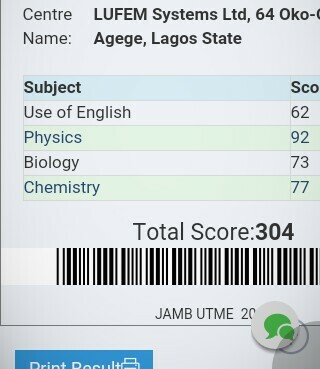 Note: Remember there is no shortcut to pass UTME but if you can follow the tips i gave, i assure you with 200 and above. If you find this information useful, you can kindly share the post using the "share" link below. Also if you have any question to ask, you can use the comment box and i will reply you immediately. 0 Response to "Tips on how to pass JAMB easily"